Holds 6 Arrows Molded semi-rigid construction Protects your fletchings and broadheads Carrying handle and hanging loop Heavy-duty zipper 23″ x 4.5″ x 2″ Notched foam holders Stackable design ..
Mossy Oak Break-Up Infinity camo Armor molded components Semi-rigid arrow compartment Adjustable sling Case length: 38″, bow width: 25″, bow length: 15″ ..
Excalibur’s new Explore Take-down Utility soft case redefines protecting and transporting your Excalibur crossbow. Due to Excalibur’s quick removable front end limb assembly, the Explore enables you to transport your Excalibur in a padded, compact and discrete case. 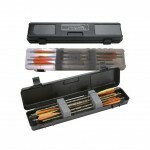 The Explore eliminates the need for bulky, cumbersome, full sized cases allowing you to make better use of space. 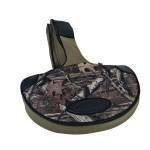 The Explore’s main compartment is padded with two Velcro straps to securely hold your stock in place, while the limb as.. 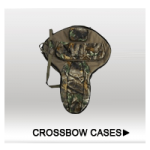 Engineered to fit to the varied styles and configurations of today's crossbows the Manta is the only crossbow case you?ll ever need. * 44.75 long x 38.75 wide x 13.125 high (collapsed 33.125 long) * Patented PillarLock System protects crossbow * Multiple tie down straps and tie down locations ensure a secure fit for any size and shape bow * Protective high-density foam lining for crossbow stock and limbs is customizable and located in key impact areas for increased protection * Tail Stock..
For transporting and storing this Crossbow Bolt Case protects a dozen crossbow bolts (up to 23.2" in total length). Two windows at either end present an unobstructed view of the points or fletching inside. Bolts are protected and separated with notched foam padding and the snap-over latches and double padlocks tabs provide the security you can count on. .. Designed with the hunter in mind to be the most compact light weight arrow case Strong slim design holds up to 6 arrows securely and safely Notched foam padding holds and protects arrows fletching and points. 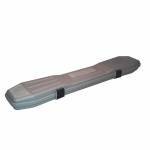 For arrows up to 34.0” total length - Dimensions: 34.6" x 4.9" x 2.0" Made to last, out of rugged polypropylene - Made in USA .. 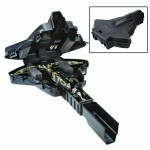 Compact size fits new crossbow sizes Three heavy-duty latches Balanced carry handles Stands on side for easy storage Padlock Hasps Quiver storage in base of case (fits most) Lashing straps to secure crossbow in case Foam padding for crossbow protection Packed 1/ Carton Exterior: 41.22" x 27" x 12.25" Interior: 39" x 24.5" x 12" THIS ITEM SOLD IN STORE ONLY .. 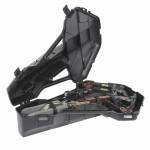 Designed to be the most compact light weight crossbow bolt case Strong slim design holds up to 6 crossbow bolts securely and safely Notched foam padding holds and protects bolts fletching and points. 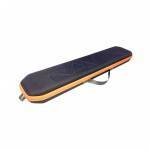 For bolts up to 24.2” total length - Dimensions: 24.9" x 4.9" x 2.0" Made to last, out of rugged polypropylene - Made in USA ..